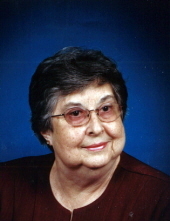 Charlene Kinsey Brantley, age 92, of Paducah passed away at 6:02 a.m. Friday, March 29, 2019 at Baptist Health Paducah. Charlene was a long time member of East Baptist Church where she taught pre-school Sunday School for over 50 years. She was a graduate of Augusta Tilghman High School and was a homemaker. Survivors include one daughter, Nancy Susan Brantley; one son, Richard “Rick” Keith Brantley, both of Paducah; two half-sisters, Brenda Manning and Imogene Burden; one half- brother, Billy Kinsey; two sister-in-laws, Mrs. Bessie Ross and Mrs. Delma Rhea Brantley and several cousins. Preceding her in death was her husband, David L. Brantley; parents, Lex Kinsey & Irene Goheen Kinsey; one daughter, Karen Suzanne Brantley and one brother, Donnie Kinsey. Services will be held Tuesday, April 2, 2019 at 11:00 a.m. at Milner & Orr Funeral Home of Paducah with Rev. Kenneth Puckett officiating. Burial will follow at Woodlawn Memorial Gardens. Visitation will be held Monday, April 1, 2019 from 5:00-8:00 p.m. at Milner & Orr Funeral Home of Paducah. Expression of sympathy may be made to East Baptist Church, 2985 Old Husbands Road, Paducah, KY 42003.